For the first several years of his career, Clint Eastwood struggled as a bit actor bouncing around from one uncredited role to another in movies best left forgotten. But in the mid-1960s, he was cast by Italian director Sergio Leone in a trilogy of Spaghetti Westerns and was vaulted into international superstardom. Even then it wasn’t readily apparent that Hollywood had a top box office star and Academy Award-winning director in its midst. But over the course of the next five decades, Eastwood compiled a career the likes of which hasn’t been seen before and probably won't be seen again. He has won Oscars, made studios untold millions, and created two of the latter 20th century’s most iconic antiheroes. While this list barely scratches the surface of Eastwood’s esteemed career, it at least gives some idea how he developed from minor character actor to one of the most accomplished Hollywood stars of all time. After struggling for years as a bit player, Eastwood came into his own as a supporting actor on the Western series Rawhide (1955-1966). But thanks to his association with a little known Italian director named Sergio Leone, Eastwood was cast in a trilogy of so-called Spaghetti Westerns and was catapulted to international stardom. With A Fistful of Dollars (1964) and For a Few Dollars More (1965), Eastwood introduced the world to his laconic Man With No Name, a nameless drifter with strong moral fiber and a lethal proficiency with a six shooter. In The Good, the Bad and the Ugly, Eastwood entered iconic territory with this third and best film in the Dollars Trilogy, where the Man With No Name partners with a bandit named Tuco (Eli Wallach) in tracking down $200,000 in Confederate coin. All that stands in their way is a ruthless assassin named Angel Eyes (Lee Van Cleef), their lack of trust in each other, and a little conflict known as The Civil War. A huge international hit, The Good, the Bad and the Ugly shattered the myths of the Old West and forever changed both the course of the genre and Eastwood’s career. On the strength of the stardom brought about by his collaborations with Sergio Leone, Eastwood vaulted to leading man status and began starring in a number of major studio films. Though second-billed behind Richard Burton, he was a key figure in this World War II espionage classic about a team of British commandos given the impossible mission of parachuting into Nazi territory in order to infiltrate an impenetrable castle and rescue an American general (Robert Beatty). Burton played a top-level spy who may or may not be a double agent while Eastwood was the lone American on the team and ultimately the only person Burton could trust. 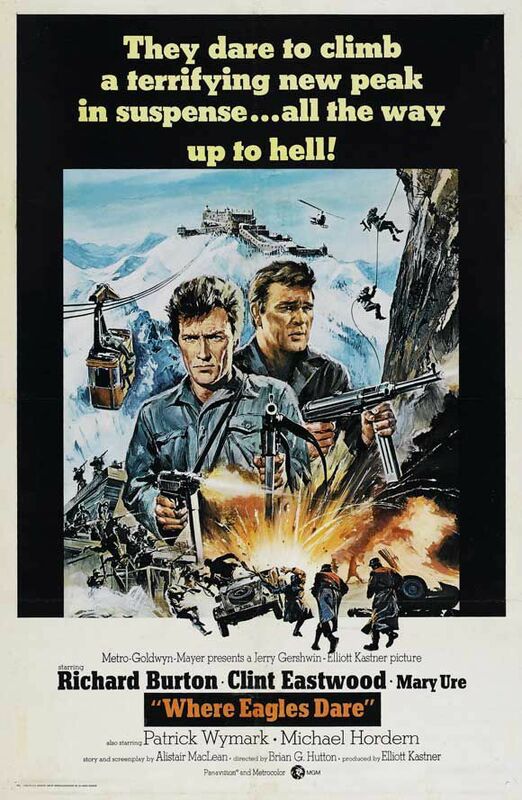 Featuring one twist and turn after another, as well as plenty of exciting action sequences, Where Eagles Dare showed that Eastwood was capable of being more than just a Western star. One of the first Westerns he made following the Dollars Trilogy, Hang ‘Em High ranks high on the list of films Eastwood made in the first half of his career. Directed by Ted Post, the film cast Eastwood as Jed Cooper, an ex-lawman accused of stealing cattle and killing the herd’s owner. Captured by a posse, he’s deemed guilty of the crime and hung from tree, only to be cut down while still alive by a federal Marshal (Ben Johnson). Made a Marshal himself, Cooper is warned by his benefactor not to become a vigilante and kill the men who tried to lynch him. Heeding the warning, Cooper instead sets about arresting his assailants while refusing to let himself or anyone else exercise frontier justice. Lauded by critics, Hang ‘Em High was a huge hit for Eastwood and paved the way for him becoming the biggest box office draw of the 1970s and ‘80s. 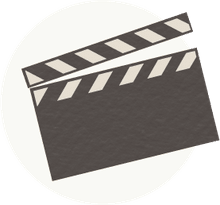 A satirical comedy wrapped around a war movie, Kelly’s Heroes was a smash hit that featured an all-star cast including Don Rickles, Donald Sutherland, Telly Savalas. Eastwood starred as the titular Kelly, a demoted Army officer who learns about a cache of gold bars worth millions just sitting in a bank waiting to be picked up. The only problem is the bank is 30 miles behind enemy lines in a French village occupied by Germans and guarded by three Tiger tanks. Enlisting the help of a hustling supply sergeant (Rickles), a Bohemian tank commander (Sutherland) with a trio of souped-up Shermans, and his reluctant commander (Savalas), Kelly leads his unit into German territory, where they encounter trouble right off the bat when an American fighter plane mistakes them for a German convoy and destroys their vehicles. Naturally, things only get worse from there as Kelly’s unit trudges the rest of the way on foot while meeting resistance every step of the way. In sharp contrast to Dirty Harry, Kelly’s Heroes was decidedly countercultural in its argument that war, no matter purpose, is fool’s mission. After first collaborating on the gritty Western Coogan’s Bluff (1968), Eastwood and director Don Siegel reunited to create one of the silver screen’s most iconic antiheroes, San Francisco detective Dirty Harry Callahan. On the hunt for a sadistic sniper named Scorpio (Andy Robinson), Callahan uses whatever means necessary to find the killer and in the process enrages the entire criminal justice system, including his lieutenant, the mayor, and even the city’s district attorney. After Callahan receives a lecture from the D.A. about the rights of the accused, Scorpio is released on a technicality and sets about killing again. But Callahan determines to take matters into his own hands, thus setting up one of cinema’s classic confrontations where Scorpio stares down the barrel of a .44 magnum while Callahan utters the classic line, “You've got to ask yourself a question: ‘Do I feel lucky?' Well, do ya, punk?” Dirty Harry was decried by some critics for its message of one man meeting out justice with a gun, but that attitude actually tapped into an unspoken need of audiences looking for just that, making the film a rousing box office hit and spawning four sequels over the next 17 years. Having already made his directorial debut five years earlier with Play Misty for Me (1971), Eastwood perfected his craft behind the camera with this excellent Western that was both an homage to and a revisionist take on the traditions of the genre. Eastwood played the titular character, a Confederate soldier who refuses to surrender to Union soldiers and goes on the run following a bloody battle with bounty hunters in hot pursuit. While intending to remain a solitary fugitive, Josey amasses a group of travelers who substitute for a ragtag makeshift family, complete with a beautiful young woman (Sondra Locke) with whom he falls in love. Settling on a ranch near an unwelcoming town, Josey finds some measure of peace only to have his tranquil life disturbed by the man (Bill McKinney) who slaughtered his previous family. A big hit with audiences and critics, The Outlaw Josey Wales was Eastwood’s last Western until he directed and starred in Pale Rider (1985). The last of five movies he made with Don Siegel, Escape from Alcatraz was a taut prison escape thriller that was based on the real-life attempt made in 1962. Eastwood starred as inmate Frank Morris, a career criminal determined to escape from the supposedly inescapable prison on Alcatraz Island in the San Francisco Bay. He concocts an ingenious plan after discovering the concrete around an air vent in his cell can be chipped away and enlists three fellow prisoners (Fred Ward, Jack Thibeau, and Larry Hankin) to make a daring break. Over the course of several months, they hack away at their vents while covering up their work with cardboard replicas. Using papier-mâché dummy heads and folded blankets to fool the night watch, Morris and the Anglin brothers (Ward and Thibeau) slip away through the inner workings of the prison and float across the bay on a raft held afloat by inflated raincoats. While the real Morris and Anglin brothers were ruled by the FBI to have drowned, even though no real evidence exists proving they’re alive or dead, Siegel’s film left open the possibility that the three did in fact succeed.